In September 1580, Francis Drake arrived back in England after travelling the Indian ocean, with a cargo laden with rich and exotic spices. 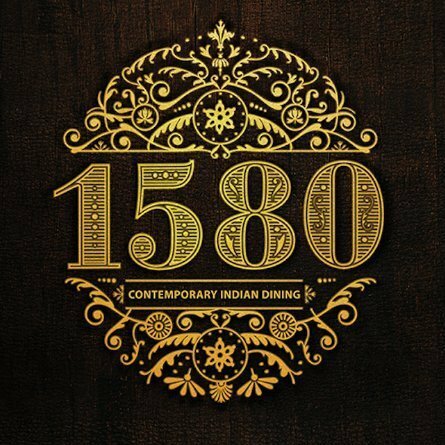 It’s this story which is the inspiration behind new North Birmingham Indian Restaurant 1580. There are influences from this story wherever you look, be it the decor reflecting the interior of the famous Golden Hind sailing vessel, to the contemporary but authentic choices on the menu, using only the best and most flavoursome of these spices. I was lucky to be invited, along with a number of other Brum Bloggers, to sample 1580’s food, just a week after its official opening. The restaurant is tucked away in a row of shops, and would be easy to miss if you’re not looking for it (I did, and I was). It’s located a five minute walk from Chester Road railway station; there is a small car park out front if you’re lucky enough to get a space. Immediate impressions were extremely favourable, being greeted by one of our hosts for the evening and my drinks requirements noted immediately. Its not a large restaurant, and our group of bloggers certainly packed it out so I would suggest making reservations if you want to eat here, particularly on a Friday or Saturday night. The decor is simple, lots of dark wood and nautical trinkets to reflect the overarching 1580 theme; soft lighting which is bright enough to see your food and your companions. Its a definite step up from most of the Indian restaurants in the Birmingham suburbs. Time for a quick catch-up with some familiar Brum Bloggers, and the chance to meet some new ones too. These events are always the perfect opportunity to chat with other bloggers, and it’s a fantastic community that Ting and Laura have nurtured. Even for those who break out into a cold sweat walking into a room of total strangers like I do. We’re also here for the food of course and tonight we are being treated to a four-course set menu, with a variety of vegetarian and non-vegetarian options. All are served to the table as sharing platters; of course, as bloggers we all naturally make sure everyone has taken their desired photos before we dig in. First off are masala poppadoms, served as a cone, with a variety of accompaniments which seem familiar, but have their own twist. The mango chutney and chaat masala paste definitely have a kick… Next up are our starters. As much as i love a good curry, starters are always my favourite part of an Indian meal, and these ones certainly didn’t disappoint. It was good to have both meat and seafood presented on our non-veggie platters, and the tiger prawns in particular were a big hit. We also got to sample a spicy Murgh Tikka chicken, crispy-battered soft-shellcrab and an extremely tasty chilli and coriander flavoured lamb chop. I’d have quite happily gone for round 2 of the starters for my main course, but instead we got the opportunity to try a trio of mains – a Murgh Tikka Masala, Pot Pepper lamb curry and most interestingly, bater curry – tandoori quail. The chicken unsurprisingly was my favourite; I wasn’t a fan of the quail but it was good to try something that I wouldn’t normally opt for. Served with pilau rice and mini flat naans. On the menu, most main courses range from between £8-£12, so it’s a little above what I would usually pay, but in a much less salubrious setting. The dessert was a traditional gulab jamun, an extremely sweet and sticky end to the meal. There’s a final flourish, with a tiny tablet sized hand towel which expands with the addition of hot water. All in all, a great opportunity to sample some new and contemporary dishes, in a wonderful setting with attentive service. I’ll definitely be recommending 1580 Restaurant to others, and hope to pop back soon as a paying customer. This event was organised by Delicious PR and coordinated by Ting & Laura of BrumBloggers. All food and drinks were complimentary, in exchange for an honest blog review. Luckily, in this case, the review is also highly complimentary! Free Everyman Cinema tickets…And the winner is? "Theatre Review: The Commitments at the New Alex Theatre"
"6 Reasons to visit Playa Del Carmen in Mexico"